Pickled Raisins? Yes - pickled raisins. You see, I have a thing for pickled things. And when the summer is over, I'm not ready for pickling season to be over either. So I pickle dried fruit, this recipe from Food & Wine that I adapted to the fresh herbs I had on hand will take about 15 minutes to make. It's really that simple. 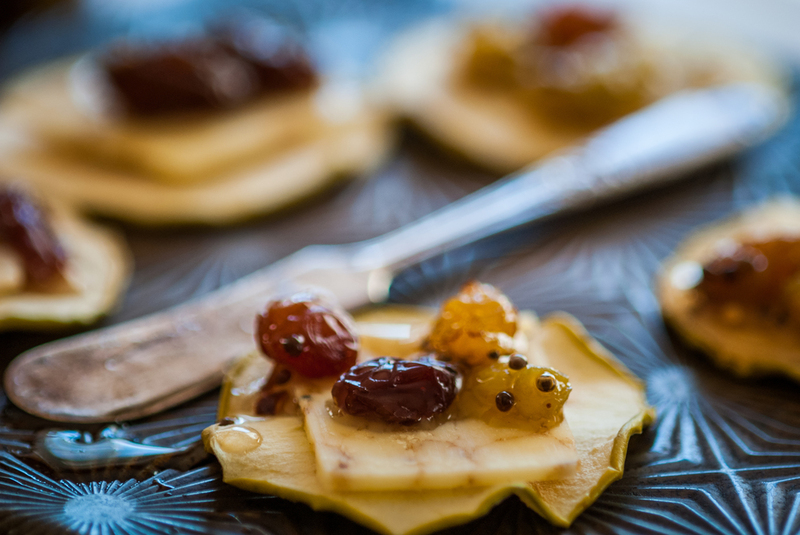 I like to pickle raisins for my cheese plates because they are the easiest to navigate and eat gracefully with a cracker. Larger fruit like apricots and figs works as well, but probably better if you sliced them into smaller bites. But these piquant treats are not just for cheese, but are delicious with roasted meats as well or would be great as a winter bruschetta topping. In a small saucepan, toast the mustard seeds over moderate heat, shaking the pan, until the seeds just start to pop, 2 minutes. Add the remaining ingredients and bring to a boil. Reduce the heat to low and simmer gently until the liquid has reduced by half, about 8 minutes. Remove/strain raisins from the pot with a slotted spoon and put in jar or bowl, leave pickling syrup behind in pot. Bring to a boil again to reduce until the consistency of honey and then add to jar. Cool before serving. 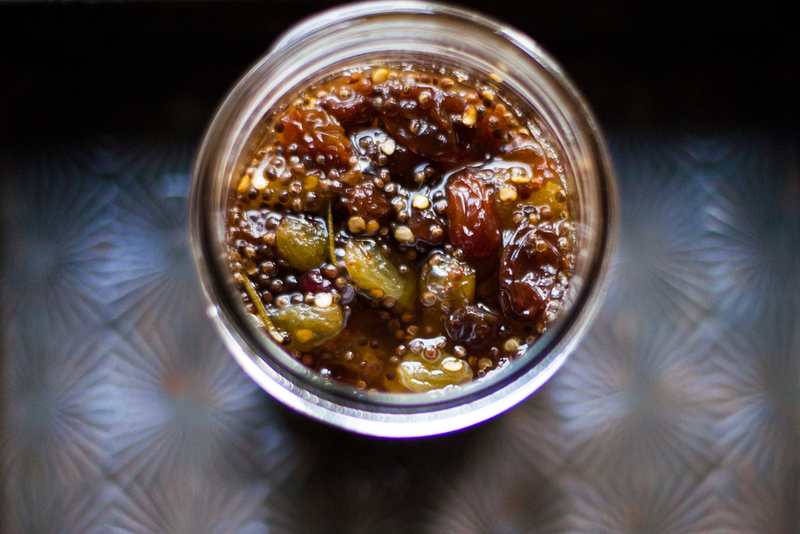 Make Ahead: The raisins can be refrigerated in the pickling liquid for 3 days.